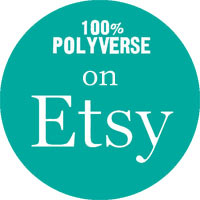 Check out our new listings – we’ve got hundreds of spring and summer items coming up, and the first round of listings is up in our Etsy shop. Get ready for Valentine’s day with some lovely dresses and lingerie. 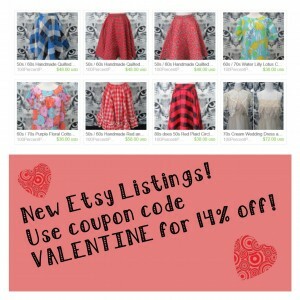 Use coupon code VALENTINE at checkout through February 14th for 14% off your order.